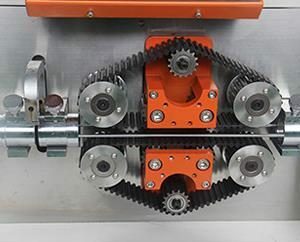 Automatic corrugated pipe cutting machine is specially designed for the development of bellows in automotive wiring harness, new energy wiring harness and other industries. 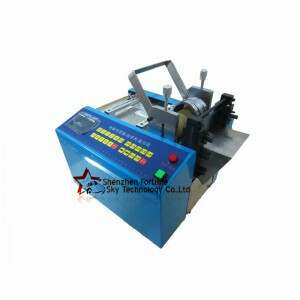 It has high precision, flat cut, fast speed and integrated production. 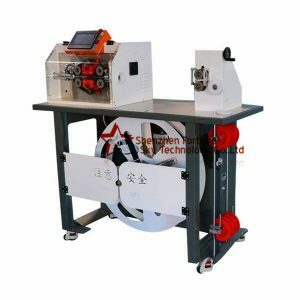 This model 100 automatic cutter for heat shrink tubing is a fully automatic shrink tube cut to length machine driven by stepper motor, designed for cutting heat shrink tube,soft tube,sleeve, ribbon cable,foil, paper and other thin and soft materials, set cutting length and quantity, auto feeding, working and stop. 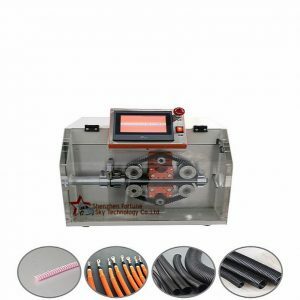 This fully automatic corrugated tube cutting machine is suitable for automotive wiring harness, new energy wiring harness, aerospace, motor vehicle, urban rail transportation, high voltage cabinet. 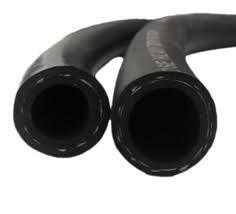 It is designed for corrugated pipe products with long cutting and high requirements. It uses belt traction, displacement sensor, rapid response to prevent coffins, automatic transportation, and achieves fast and accurate. Super large display screen plus PVC control operation digitalization, integrated circuit control stability, simple maintenance.